Roller Banners are an excellent product to add to your marketing materials and get your campaign moving forward in the right direction. They can be displayed on your factory/unit, office or shop floor and even taken out on the road to exhibitions. They will make a huge impact on potential clients and contacts and also advertise your products and offers for hours. A very cost effective way of visibility for your business or products. If they are well designed with vibrant colours and short snappy messages they will draw in clients and leave your message in their mind. 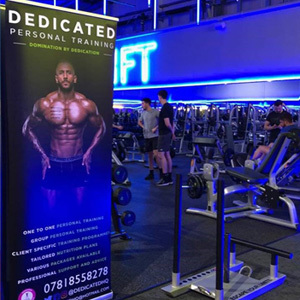 The beauty of roller banners is they can be used over and over again, are easy to assemble, take up very little floor space and you can take them anywhere. We have lots of different options for you below and we can go from 800/1000/1500/2000mm x 2000mm and even double sided. 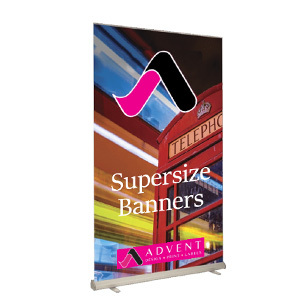 All our roller banners are supplied with a full colour pre printed graphic and a carry case. 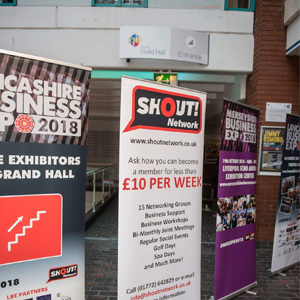 If your not sure which is the best roller banner for you feel free to contact us for free advice. 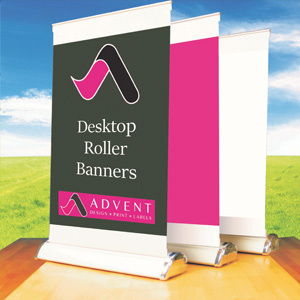 Our most affordable roller banner. A great option for banners that will be used a handful of times. These stands are made from brushed aluminium and have swing out feet. This is a premium unit with wide version options available. Includes a full colour printed graphic, heavy duty bungee pole and socket base, adjustable feet underneath base for uneven floors, snap clip top rail and includes a premium padded carry case. 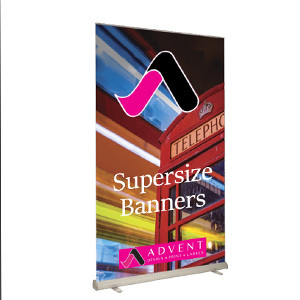 This is our super-size roller banner which is 2000mm x 3000mm and towers over all other roller banners. 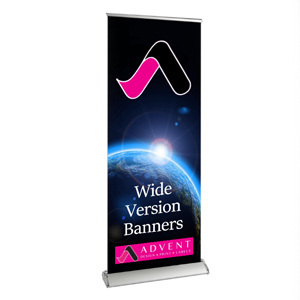 This banner has twist out feet for additional stability, snap clip rail with retaining screws and a couple of poles to stabilise the graphic. This is our double sided roller banner which includes two full colour printed graphics. They are are robust and compact with twist out feet for stability. 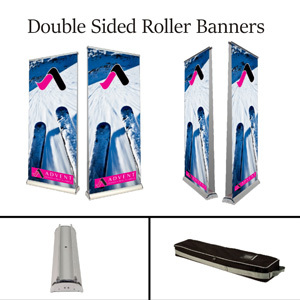 These are perfect for when the banner isn’t standing against a wall and can be viewed from both sides, why waste a marketing opportunity? We even offer the option of two different designs of graphics (one for each side) at no extra cost. 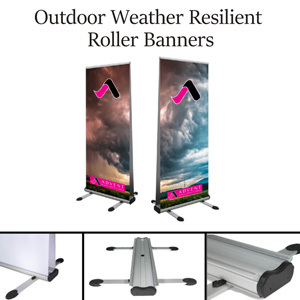 This is our weather resilient outdoor roller banner, which includes graphics printed on 440gsm pvc. They have a multi screw secured snap rail and large twin feet and includes ground pegs to secure the unit in wind speeds of upto 24mph. This is a 50 watt mains floodlight which offers 5500k warm white glow, with low power consumption and approximately 20,000 hours of use. It had a anodised silver finish and a bulldog clip specially designed for roller banner poles. 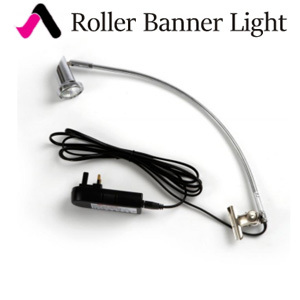 If the roller banner is 1500mm or 2000mm wide we would recommend two lights.